Cleaning and Restoration Products from Contec, Inc. are the professional's choice for mold remediation and flood, sewage and biohazard clean up applications. In 2008, Contec acquired the Sporicidin Brand family of disinfectants and cleaning products, a name that has been trusted in the restoration industry for over 35 years. From Sporicidin Brand Disinfectants, enzymatic cleaners, mold stain removers to mold resistant coatings and accessories, our broad array of cleaning, disinfecting, mold remediation and mold removal products allow the end user to choose the format that best suits their application. No matter the cleaning or restoration challenge, Contec mold remediation supplies get the job done right the first time. 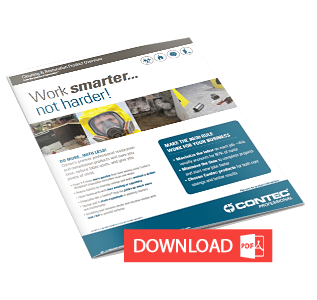 Download the PDF to learn more about the Contec's Cleaning & Restoration products! Contec Cleaning and Restoration Products produce a wide range of mold remediation and antimicrobial cleaning products for restoration, remediation, forensic, and medical and dental industries. The Sporicidin chemistry is EPA registered as well as OSHA compliant.